Standard locks are easily broken into, which means rekeying or replacing often if you own a business or have rental properties. This can get expensive as well as being less secure. High security locks are a better choice for anyone who wants to protect their property. If you haven’t upgraded your locks to a high-security product, here are a few reasons to do so. You can cut down on the risk of a burglar breaking into your home or business with a high-security lock. The design makes it more difficult for the burglar to pick the lock, which means they must find another, more obvious way inside. In most situations, the burglar will simply leave and look for an easier target. These locks are made of more durable material that’s able to withstand strong-arm tactics to gain entry. They are resistant to force such as someone trying to kick in the door. The locks come with telescopic pins or a pin-within-a-pin design which makes it more difficult for a thief to pick or drill the lock. Steel plates and rods provide added protection. The burglar is likely to give up and move on once they see the lock isn’t going to give them easy access. You can rest easier at night, knowing the keys you have given out can’t be copied for others to use. Duplicate keys require a special machine, so tenants, employees and others can’t just run to the local key shop and make copies. Many of these high-security locks require a security card which shows a locksmith you have the authority to ask for a duplicate key. This ensures you know exactly how many keys are out there and who has them. You can often even use a cloud-based system to track keys so you know which key accesses which doors and who has that key. This is an ideal situation for a landlord. They can know when they get back all the keys from a tenant who has moved, so they don’t need to rekey the lock for the next person who moves in. It saves time and money and keeps your property more secure. While high-security locks may cost a little more in the beginning, they will save money over the long-term. You won’t have to worry about replacing locks as often and repairing damaged locks after a break-in. You might even save money on your property insurance if you let your provider know you have installed this type of lock. The most important reason to install these locks on your property is for the peace of mind in knowing everything is safe and secure. 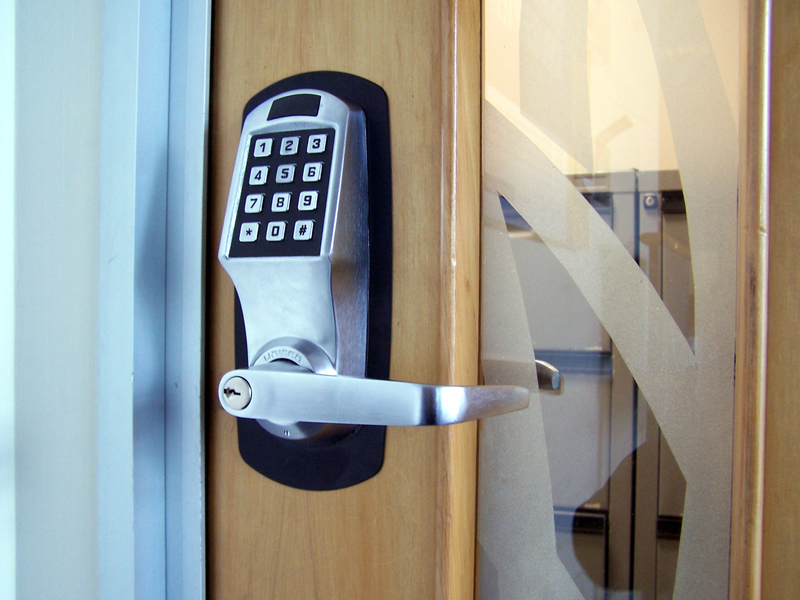 Whether it is on your personal residence, a rental property or for your business, high-security locks reduce the worry of theft or other crimes as they provide a barrier to criminals. Consider replacing your current locks with high-security products designed to keep you safe and the bad guys away.